Lincoln Center is the world’s leading performing arts center. 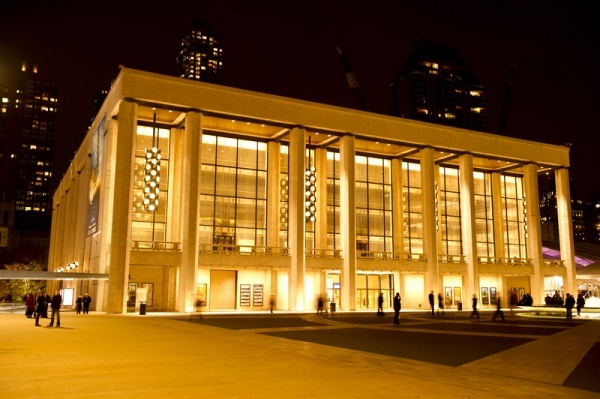 Located on 16.3 acres in New York City, the Lincoln Center complex comprises 11 Resident Organizations, and Lincoln Center for the Performing Arts is one of those 11. 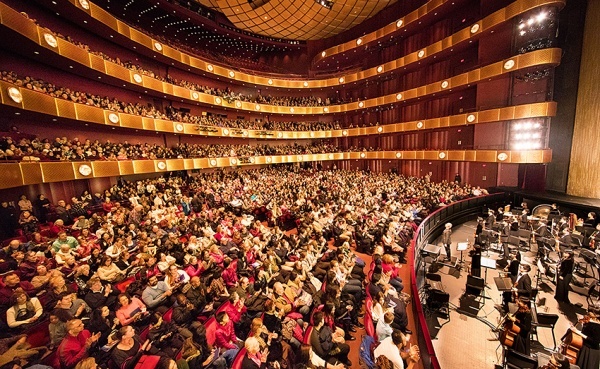 Since Lincoln Center first opened its doors, it has been a major contributor to New York City’s cultural and intellectual life, with an internationally recognized dedication to artistic excellence. The David H. Koch Theater is located on the south side of the main plaza of Lincoln Center, adjacent to the Metropolitan Opera House and Avery Fisher Hall. The Theater is home to both New York City Ballet and New York City Opera, was designed by architect Philip Johnson and opened on April 23, 1964. The Theater is owned by the City of New York, which has given funds for its refurbishment and which provides an operating subsidy through the Department of Cultural Affairs. The Theater is managed by City Center of Music and Drama, Inc. NOTE: This offer is redeemable at Port Imperial Terminal. Please bring proof of Shen Yun ticket purchase. Lincoln Center Quick Park Self Park Garage 62nd Street between Columbus and Amsterdam(South and Westbound traffic): Entrance located mid-block on the right. Open 24 hours 7 days a week. 63rd Street and Amsterdam(Northbound traffic): Entrance located 100 feet on the right past 62nd Street. Open open Mon– Fri, 4pm–8pm and Sat– Sun, 10am –8pm 65th Street between Amsterdam and Broadway(North and Eastbound traffic): Entrance located between Broadway and Amsterdam 200 feet on the right and is open 24 hours 7 days a week.